Let our financial advisor provide a modern and personalized approach to wealth management. In O'Fallon, MO, we know how to preserve and grow your wealth so you can enjoy a comfortable financial future. By providing in-depth guidance and one-on-one consultations, we determine the best investment vehicles to meet your goals. From stock investment and retirement planning to estate planning, Renaud & Company grows your wealth using a very disciplined approach. For more than 24 years, Matt Renaud has provided a wide range of financial planning and investment services. He is a certified senior advisor, well-known financial educator, and Five Star Wealth Manager award recipient. In addition, he has conducted retirement and wealth planning seminars that have been widely attended by retirees of Boeing, Verizon, MEMC, Anheuser Busch, and Monsanto. At our company, we advise you on the best ways to ensure wealth accumulation and make prudent decisions concerning your future financial condition. As experienced financial advisors, we do everything in our power to keep you focused on where you want to go and advise you on how to get there. Manage your money the right way by coming to us. Because we are a fee-based financial advising company, we never take chances with your money. Instead, we pay very close attention to your goals and needs, while considering many other factors. You can also expect a hands-on approach to money management. That is, we customize your wealth management plan based on your goals. If you are a retired individual, it is vital that you used a trusted wealth advisor to help you manage your money and investments. This ensures that your wealth grows while your principal is protected. At our financial advisory firm, we have millions of dollars under management and are highly adept at helping our clients build wealth and manage their money. When we provide wealth management services, it involves much more than basic investment advice. Instead, we delve into all parts of your financial life. This is important to ensure reliable wealth accumulation. 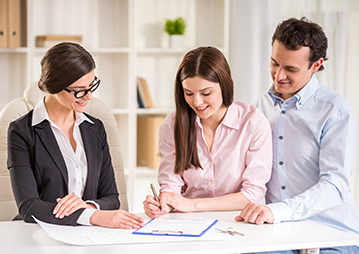 After your free consultation and once you decide to use us, we develop a plan that maintains and increases your wealth based on your financial situation, goals, and risk level. After that, we will meet with you regularly to update your goals and rebalance your financial portfolio. Contact us to start planning for a bright financial future. We offer Wealth Management help to all clients living in the great state of Missouri.